Have you ever been somewhere new and asked to play an icebreaker game? I’m 31 and still find myself eyes bulging, jaw tensing everytime someone offers this up as if it’s entertainment. What you don’t know, is that while I smile and share a fun fact (like I’m 100% Italian or rode equestrian as a kid) at my core I’m riddled with generalized anxiety and depression. You don’t know that at 25, after finding myself constantly crying at my desk or on my commute home (with no valid reason) I was officially diagnosed. I rescheduled that psychiatrist appointment four times before eventually walking in. The post-it notes of all my cancellations and rescheduled dates, lay scrawled in writing on a file on top of his desk. A timeline of my passive-ness and refusal to confront my problem. After my diagnosis, I felt relieved to have confirmation, but overwhelmed about what this meant moving forward. The constant suffocation I felt in my chest, the on-going reel of “potential outcomes” playing through my mind, the pounding heartbeat every time my husband was five minutes late. Would these exist forever? That sounded like another reason to not get out of bed. But I got into therapy, and it’s been my key to survival. What I’ve learned about cognitive coping mechanisms has been nothing short of life saving. Did you know that anxiety can create a circular pattern of isolating thoughts that will continue to spin out of control until you consciously pause it and say, “Not today”? If that sounds exhausting, that’s because it is. Not only do you need to be aware of this process while it’s happening, you have to train your mind to break its own dangerous habits. Some days are a thousand times better than others. I’d love to tell you I’ve mastered my mind through journaling and yoga, and come out the other side standing tall. I’d love to lay in savasana after a rigorous flow and not have tears rolling down my face at 6am on a Wednesday with nothing to connect them to. The truth is, while these activities help, they aren’t cures. My anxiety tells me it’s because I’m lazy and can’t follow through with anything I start. It tells me that everyone else can get their act together, so this shouldn’t be so hard. After working through the ebbs and flows of self-doubt, imposter syndrome and realization, I came to understand that my anxiety is not the owner of my voice. It’s more like a shittier version of Ursula who keeps my happiness locked in a seashell necklace. I need to quiet that voice as much as possible and create a new story each day. One that serves me and not the mass that’s wedged between my heart and rib cage, busting at the seams to prove a point. At its core, anxiety is a lot like a 13-year-old kid, trying its best to find reason in a world full of new unknowns (and that’s a flattering description). Self-care has helped me control this unruly teen. I work out regularly. I’ve found a Pilates practice that allows me to move and distract my mind for at least 30 minutes a day. Without it, my days would be worse. Medication helps too. It’s a stabilizer that helps decrease symptoms and focus on getting the inside as okay as possible, without all the noise. So much of my life has been driven by anxiety hopping in the front seat, while the rest of my mind spirals in the back. Most days I can squirm my way to the wheel and through a cognitive rewiring of thoughts, exercise, and accepting that it’s okay if I wrap things early. It’s not a perfect plan, and even though most days the voice in the back of my head is screaming at a deafening tone, I manage to pull through and take control. A life that’s strung together by some unfortunate chemical lapses, but overall, precious in all its potential capacity. I try hard these days to not map out the future. So the most I can say, is that when it’s all boiled down, the wild card is within my control. Each moment can unfold, exactly as it should, without a narrative preview. And I can sit with that now, and be completely okay. Bre D’Alessio South is a freelance writer and content strategist. 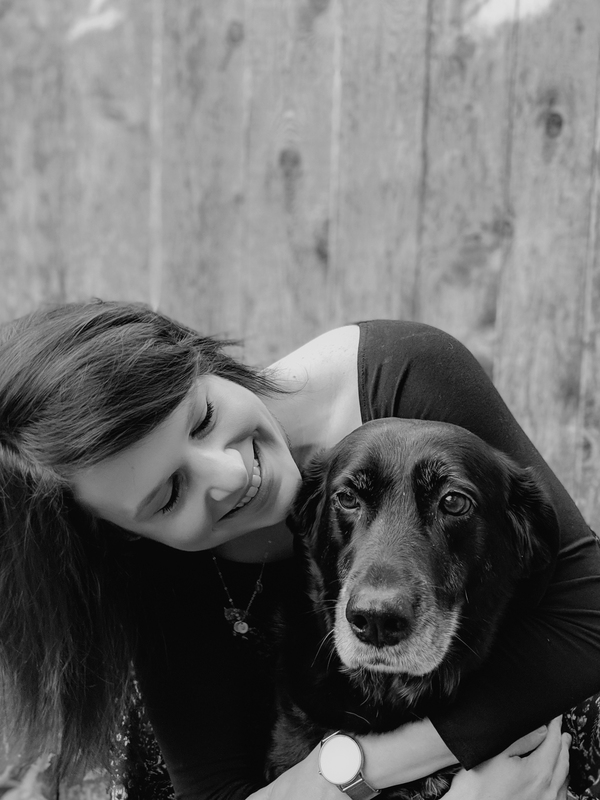 Her background in marketing includes communication strategy and copywriting for a range of industries including healthcare, technology, personal development, animal welfare and community-driven issues.